I handed my husband the newly arrived AARP magazine with a smirk on my face. He handed it back to me and his smirk was bigger. It had my name on it. What? One wasn’t suppose to get AARP literature until they were at least fifty. 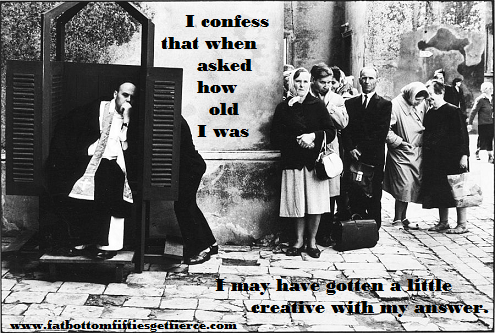 I had just barely turned forty-nine. Talk about pushy! I resented the implication that I was old. 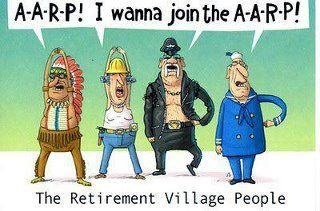 So I taught AARP a lesson – I refused to read anything that bore their logo. A few months later an article touted on the glossy AARP magazine cover caught my attention. I took a quick peek. To my annoyance, I found it interesting. And so it began. Reading an occasional article expanded to flipping through the magazine, stopping at regular features. Then I was reading the monthly bulletin – ensnared by the condensed summaries on relevant (to my world) topics. Before I knew it I was (gasp!) quoting facts learned from AARP publications and cutting out articles to send to friends/family I thought would benefit from the wisdom. You know you’re over 50 when: you find yourself looking forward to reading the last page of AARP magazine to see what notable person is reaching a birthday milestone.